1953: The highway only went as far north at OK 47 near Reydon. 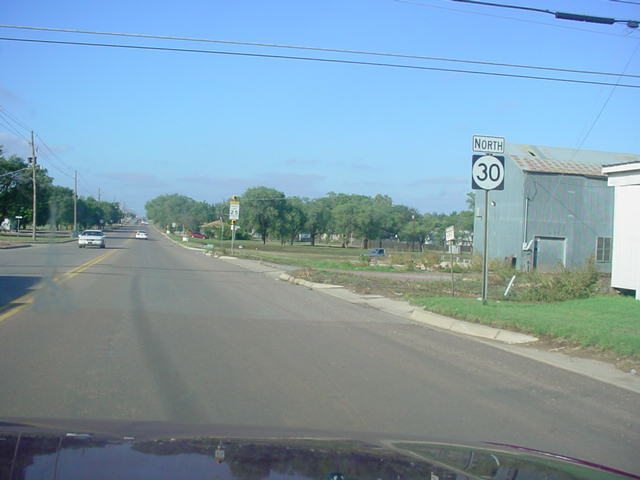 OK 30 begins its northerly trek at U.S. 62 in Hollis, five miles east of the Texas state line. It remains close to Texas its whole distance, as it is never more than 10 miles east of the state line. 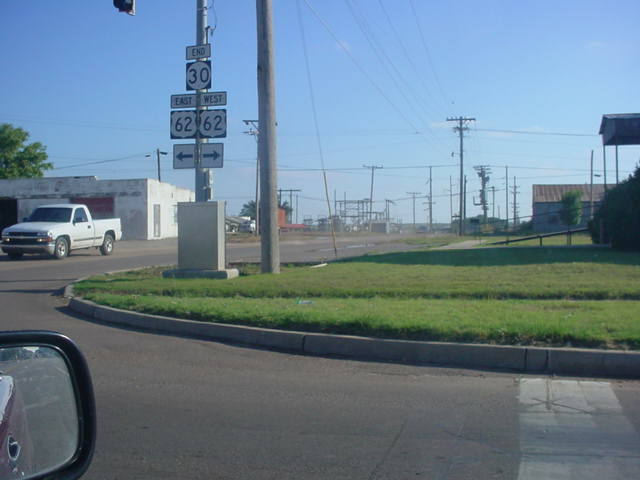 Fifteen miles north of U.S. 62, OK 30 intersects OK 9. The intersection is located in the middle of a valley, making it a blast when driving on the highway in an ice storm, I am certain! 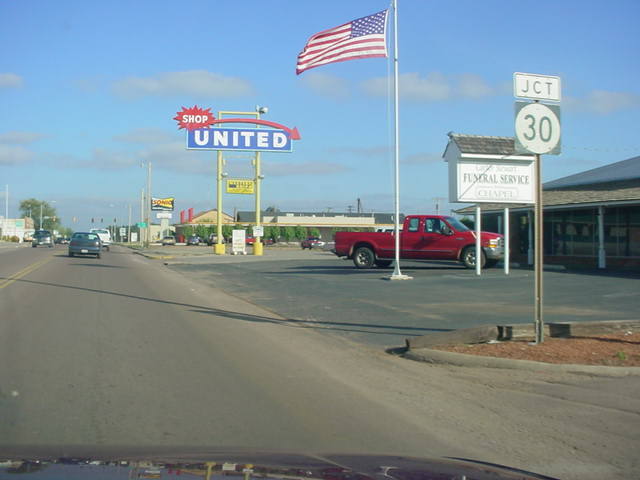 Twenty-two miles later, OK 30 enters the town of Erick and intersects Interstate 40 at Exit 7. Following the interstate OK 30 continues north towards Sweetwater and OK 152, which is fourteen miles north of I-40. 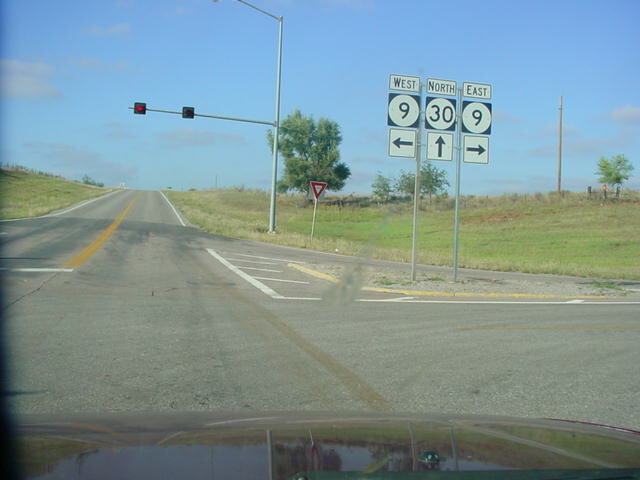 After a short multiplex with OK 47, OK 30 heads through the Black Kettle National Grassland, intersects OK 33, and ends a couple miles north of OK 33 in the town of Durham. heading towards Amarillo, Albuquerque, and points beyond. doesn't see another highway until 15 miles later at OK 152. OK 30 North/OK 47 West at OK 47 West in Reydon.